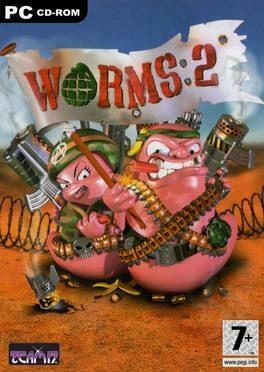 Worms 2 is a turn-based strategy game, with each team moving in a randomly determined sequence across two-dimensional terrain. During a single turn, a team can only move one of its worms. Worms can crawl and jump, as well as swing by ninja-rope, parachute, teleport, and bungee when the appropriate items are available. The objective of a traditional match or campaign mission is to defeat all opposing teams by killing their worms. When hit with a weapon, the worm will lose health depending on the power of the weapon and the directness of the hit. A worm can be killed either by having its health reduced to zero or being knocked into the water around and below the level. Worms 2 is available from 5.69 to 5.69 from 1 shops.